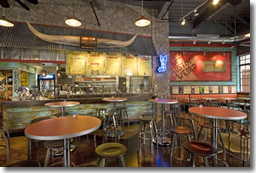 If you are looking for information on the Austin Grill Custom Burrito Shop franchise business opportunity, Austin Grill Custom Burrito Shop franchises or Austin Grill Custom Burrito Shop franchising, then you have come to the right place. "Everything you love about Austin Grill. All rolled into one." Starting with a Hot Brand. For more than 20 years, the name Austin Grill has been synonymous with "AustinThentic" Tex-Mex specialties, relaxed atmosphere, and good times. Now we are ready to take what makes Austin Grill unique and roll it into one great new concept! 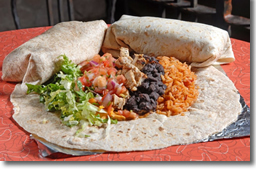 Austin Grill proudly introduces the AUSTIN GRILL CUSTOM BURRITO SHOP, featuring a simplified version of Austin Grill's menu and a focus on quick service and convenience. With the same commitment to fresh ingredients and a fun environment as the full-service Austin Grill concept, the Custom Burrito Shop is destined to take the Austin Grill brands to another level. The Austin Grill Custom Burrito Shop is positioned for strong growth, with several new company-owned restaurants planned within the next 18 months. We are also seeking qualified Austin Grill Custom Burrito Shop charter franchise partners in other areas of the country, and exclusive development territories are available! Franchisees will benefit from two decades of success and growth. Austin Grill has created a solid reputation in the restaurant industry by delivering superior satisfaction and value to our guests through a unique, time-tested experience, and the Custom Burrito Shop brings these benefits to the fast-casual segment.